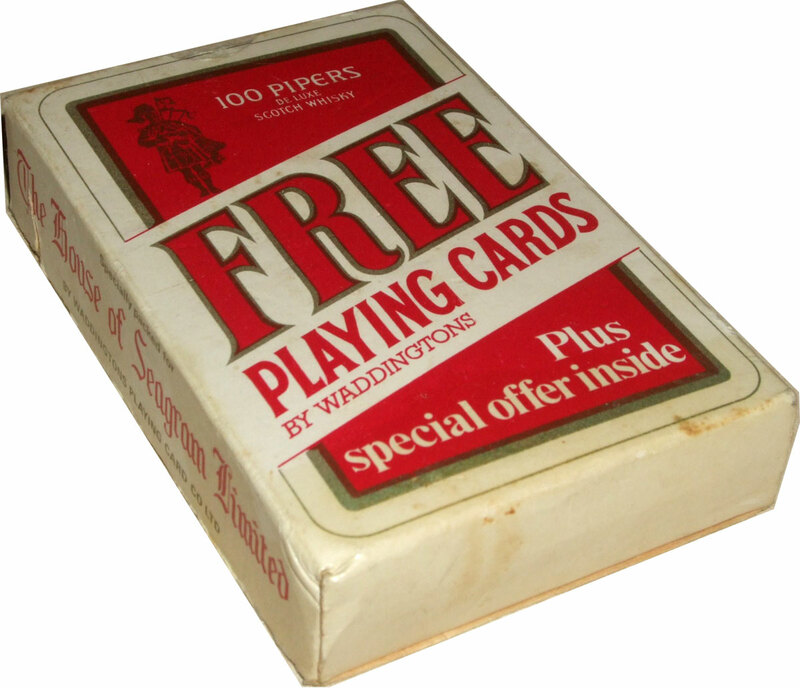 100 Pipers Scotch Whisky promotional deck containing a special offer for a de-luxe presentation tarot deck, Waddingtons, c.1973. 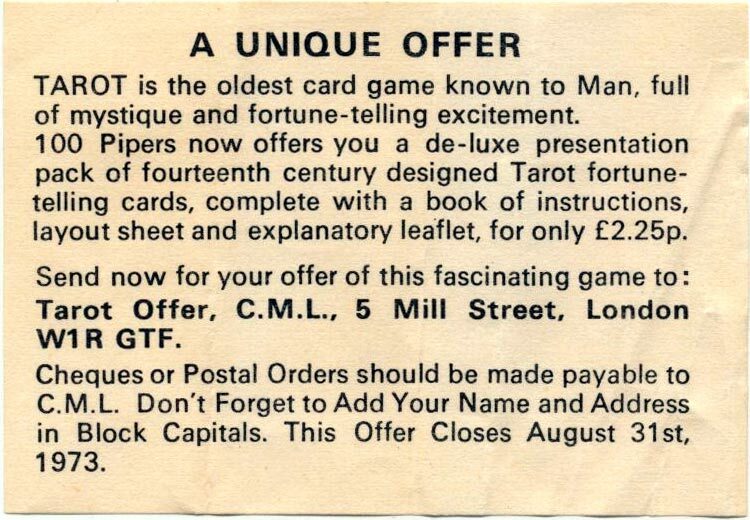 Above: the pack contained a special offer to obtain “a pack of fourteenth century designed tarot fortune-telling cards”. No one has ever heard of this tarot before so it is not known what the cards were like. 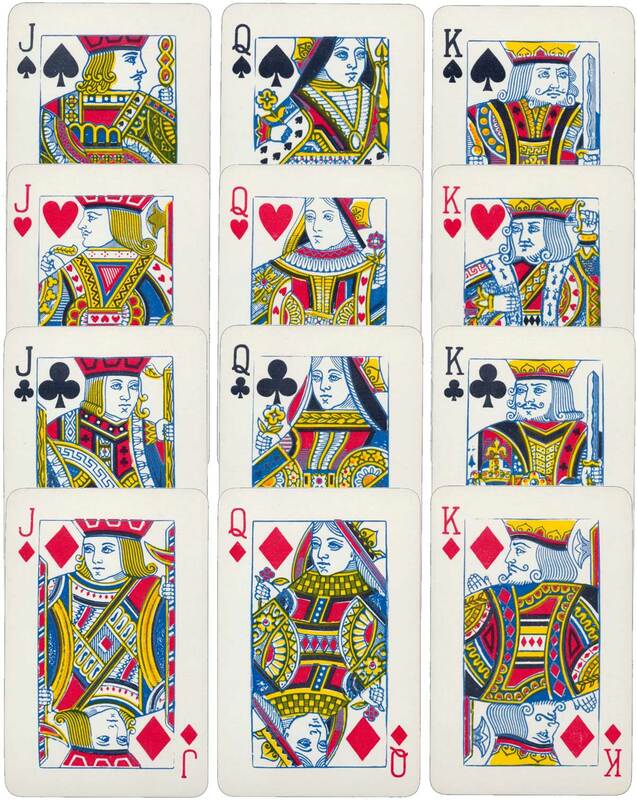 Above: 100 Pipers Scotch Whisky promotional deck, somewhat worn plates, Waddingtons Playing Card Co., c.1973. Images courtesy Matt Probert.